This is a two in one investment opportunity. 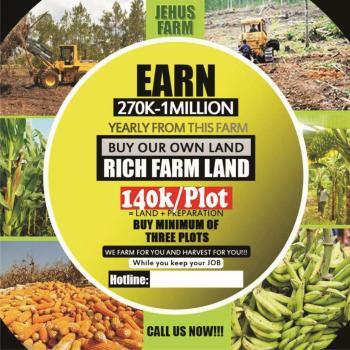 JEHUS FARMS LTD offers an acre of arm land for just N1000000 and a suitable payment plan for investors. 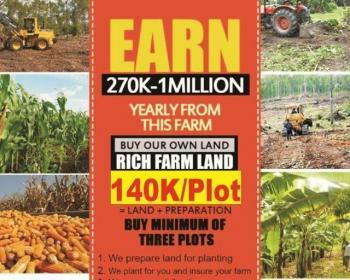 Most importantly, we also offer investments to yield more for the investors.1 Acre: N1m +N850k(This is for management purposes, for people interested in investing)= N1,850,000RETURNS ON INVESTMENT FOR ONE ACRE Returns from Farmland within 3years of management contract:>1st Year (10th-11thMonth) =N470,000> 2nd Year (1st 6months) =N582,500 >2nd Year (2nd 6months) = N582,500> 3rd Year (1st 6months) = N582,500 > 3rd Year (2nd 6months) = N582,500 Total =N2,800,000Basically when you buy the farmland, you pay for management(investment), we plant and manage your farm to yield profitable goods and you get paid for three years and after you still own your land. 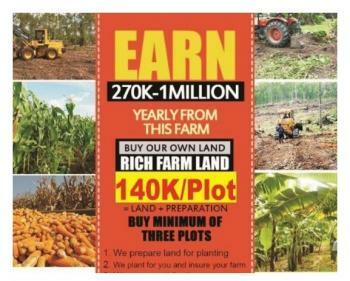 Buy one plot for just N150,000 and invest N150,000 for preparation, cultivation and management. 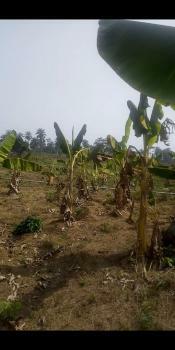 Returns from Farmland within 3years of management contract:>1st Year (10th-11th Month) = N70,000 >2nd Year (1st 6months) = N82,500 >2nd Year (2nd 6months) = N82,500 >3rd Year (1st 6months) = N82,500 >3rd Year (2nd 6months) = N82,500 Total =N400,000 This is a two-in-one investment opportunity. It gets better. 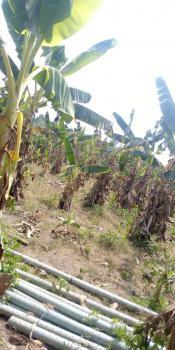 Remo North is a Local Government Area in Ogun State, Nigeria. Its headquarters is in the town of Isara.